This month’s newsletter contains reports from two recent events that should be of interest to the IPSI community: a symposium on biodiversity and sustainability held at United Nations University headquarters in Tokyo, and the fifth IPBES plenary meeting in Bonn. We are also very pleased to share a new publication on indigenous and local knowledge in Asia, also related to IPBES, and an introduction to one of IPSI’s newest members, the Forestry Bureau in Chinese Taipei. On 12 March 2017, IPSI members the United Nations University Institute for the Advanced Study of Sustainability (UNU-IAS), together with the University of Tokyo Integrated Research System for Sustainability Science (IR3S), organized an international symposium titled “Biodiversity and Sustainability: Linking People and Nature”. Experts discussed how to build societies in harmony with nature, helping to achieve the United Nations’ Sustainable Development Goals (SDGs), as well as how to advance sustainability science. The symposium was held in part to honor the career of UNU-IAS Senior Visiting Professor Kazuhiko Takeuchi, who is one of the leading figures in establishing the Satoyama Intiative and IPSI, and who recently retired after serving as Senior Vice-Rector of UNU, among many other roles. Prof. Takeuchi gave one of the keynote speeches, highlighting IPSI’s work and contributions to various international processes. For more information on the event, please see the UNU-IAS website here. IPBES is an independent intergovernmental body open to all member countries of the United Nations, and provides a mechanism recognized by both the scientific and policy communities to synthesize, review, assess and critically evaluate relevant information and knowledge on biodiversity and ecosystems services generated worldwide by governments, academia, scientific organizations, non-governmental organizations, and indigenous communities. The fifth meeting of the Platform’s Plenary (IPBES-5) was held from 7 to 10 March 2017 in Bonn, Germany. The IPSI Secretariat was represented at the plenary meeting, where outcomes included decisions on review of the platform, capacity building, and tools and methodologies. IPBES has been producing a number of regional and global assessments as part of its work plan, and agreement was also reached on the future of the assessment process in light of the platform’s budgetary limitations. The IPBES assessment on pollinators, pollination and food production was recently completed, and we look forward to seeing more assessments in the near future, especially as many IPSI members are involved as experts in their development. IPSI member the Institute for Global Environmental Strategies (IGES) organized an Asia Pacific sub-regional dialogue workshop for South-East and North-East Asia in Chiang Mai, Thailand from 14 to 17 October, 2016 through its Japan Biodiversity Fund (JBF) Capacity Building Project, with funding from JBF. Holders of indigenous and local knowledge (ILK) and experts from South-East and North-East Asia attended in order to identify needs and knowledge gaps, build relationships and enhance capacity for incorporating ILK issues into the upcoming Regional Report for Asia and the Pacific by the Intergovernmental Science-Policy Platform on Biodiversity and Ecosystem Services (IPBES). The official report of the workshop has been published, with contributions from a number of IPSI members including IGES and the IPSI Secretariat’s own Dr. Kaoru Ichikawa on the editorial team. The report contains a great deal of information that should be of interest to many readers, not only those working specifically on ILK issues. Further sub-regional reports produced under this process are also being produced. One for the South and West Asia sub-region is already available, and another for Oceania is expected soon. The Forestry Bureau, Council of Agriculture is the central forestry administration in the country, conforming to the principle of sustainable management of forest resources. The Bureau takes maintenance of forest ecosystems and conservation of natural resources as its mission, and has devoted itself to the three goals of “sustainable management of forests”, “management of forest resources for multiple uses” and “enhancement of biodiversity”. In recent years, the Forestry Bureau has been the key central governmental institution promoting the restoration of rice terraces and wetlands, as well as revitalization of SEPLS. The Bureau has actively incorporated the Satoyama Initiative and work toward the Aichi Biodiversity Targets in its work. Since 2014, the Forestry Bureau has been working with the National Dong-Hwa University and other Taiwanese IPSI members in setting up a National Strategic Framework to move forward the Satoyama Initiative in the country. 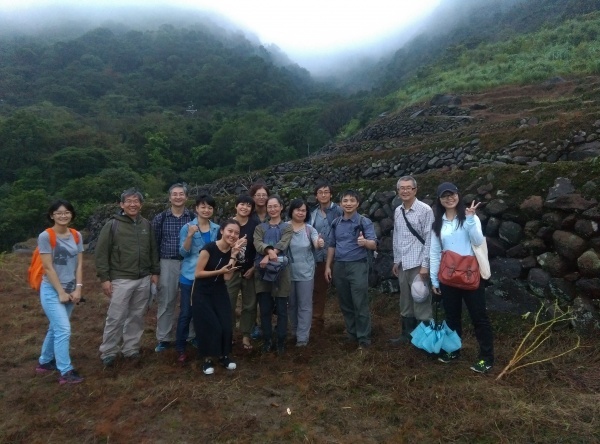 One of their plans is to establish a Taiwan Partnership for the Satoyama Initiative (TPSI) through which stakeholders can work collaboratively to: first, facilitate revitalization of SEPLS; and second, move closer to the goal of living in harmony with nature. For more information on the Forestry Bureau, please see their website here.